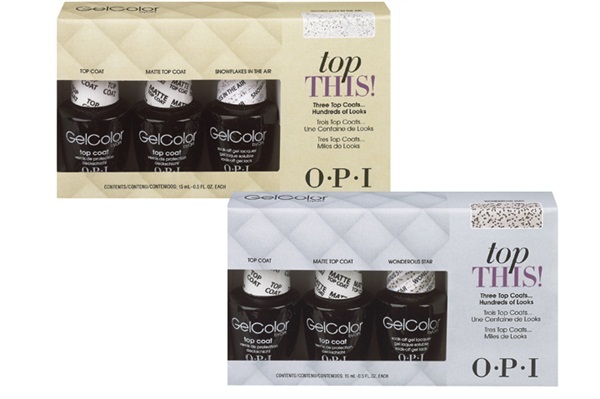 OPI offers two limited-edition Top This! GelColor top coat kits for the holiday season. The sets provide unique finishes from glossy to sparkly, giving classic shades a fresh feel. One set includes Top Coat, Matte Top Coat, and Wonderous Star top coat, while the other contains Top Coat, Matte Top Coat, and Snowflakes in the Air top coat.